Coconut milk - high in magnesium which combats stress and muscle tension while aiding in circulation. MCT fatty acids keeps you full, increase energy and enhance physical performance. 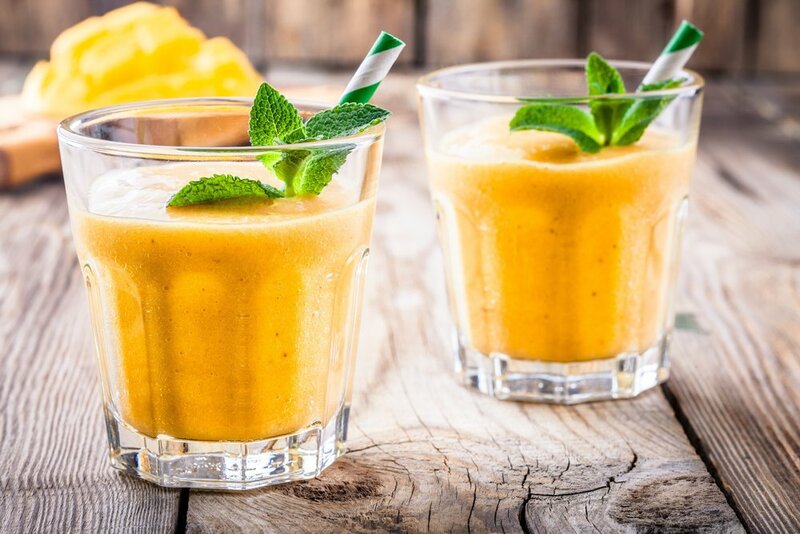 Pineapple, mango and spinach - high in antioxidants, fiber, vitamins C, A and 25 different kinds of carotenoids this combination keeps your immune system healthy and strong. Coconut oil - high in healthy medium-chain fatty acids (MCFAs) that are easily absorbed by the body for instant energy. Contains lauric acid that is antibacterial, anti-fungal and antiviral which boosts your immune system.